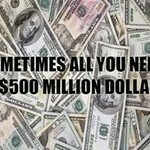 Perhaps you have been playing the lottery for a while, buying tickets alone and getting discouraged because you haven’t won the big jackpot yet. Maybe you accomplish a small win every once in a while, but it is only enough to keep you playing. Did you know there was a better way to play the lottery, without spending a lot of money but still increasing your chance of winning? This way of playing is called a lottery syndicate. A syndicate is a group of people pooling their money to purchase lottery tickets. Each big win is distributed easily. 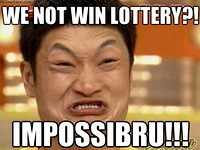 It is a proven fact your chances of winning are greater when you play with a lottery syndicate. 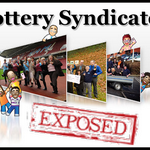 I will tell you the basics of building or using a lottery syndicate along with questions to ask when building a lottery syndicate that is sure to win! What’s My Lottery Syndicate Plan? Think about the details of the syndicate, such as what game you will focus on, how often you will play, and how many players will be allowed. It’s important to strike a balance between the number of players and the amount of winnings—if you have too few players, it is much harder to win, but a too many players can spread a jackpot too thin. Deciding on the right game is important as well—the very large jackpots are much harder to win, but you definitely want to go for a prize large enough that, if won, it would alter the players’ lives in a positive way. That is what makes all the hard work worth it! Who Should Join My Lottery Syndicate? Asking your friends to join your syndicate seems like an obvious choice, but be sure to think about this objectively before extending the invitation. 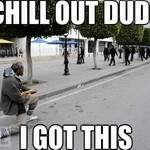 Would your friends be responsible and reliable? Do they have the funds to contribute adequately to the syndicate? Forming a workplace lottery syndicate is a popular option, but be sure to check with your boss to make sure you aren’t stepping on any toes by doing so. How Will the Lottery Be Played? Do your members want to pick their own numbers, or are they happy with a random draw? Members will probably prefer to pick their numbers as this helps them feel involved in the game. However, if you have a proven method for picking winning numbers, it may be good to campaign for this option in your discussion. How Will We Keep Track of Everything? At the very least you should be keeping track of the players and their basic contact information, who has paid and who hasn’t, what numbers you have played, and all the winnings that have occurred. This keeps things organized and limits arguments over minor things. A popular way to keep a log of your syndicate is using an Excel spreadsheet. What Is Our Lottery Syndicate Agreement? At first it may seem a little paranoid, but drawing up a simple agreement between players can help avoid headaches down the line. A fun syndicate can turn sour as soon as Suzie, who hasn’t contribute to ticket purchases in months, suddenly appears and tries to take a share of your winnings. In your agreement, you should detail what game you are playing, how much each player is expected to contribute, and so on. You should also decide what happens if a player was to stop paying or needed to leave the syndicate. What Happens with Small Wins? Small wins keep the syndicate fun and relevant, but shouldn’t be divided immediately among the players as this will usually spread the money too thin. Discuss beforehand what will happen in these situations—will the small win be immediately reinvested into the syndicate, or given to each player in turn? Be sure to notify all players of any win, big or small. You can let the small wins accumulate until they are large enough to split amongst everyone. How Can I Keep the Syndicate Going? Of course, a pattern of winning can be enough to sustain interest and excitement in your syndicate, but we can’t all be so lucky! Encourage your players to stay involved in the syndicate by sending out periodic updates or organizing small events. Keeping up with a blog, however short and sweet, can be a way for everyone to stay connected. I won’t lie to you, building your own lottery syndicate can be a lot of work. With a little bit of hard work and dedication, your lottery syndicate can gain its own momentum and turn into a pleasant past time and additional source of income.